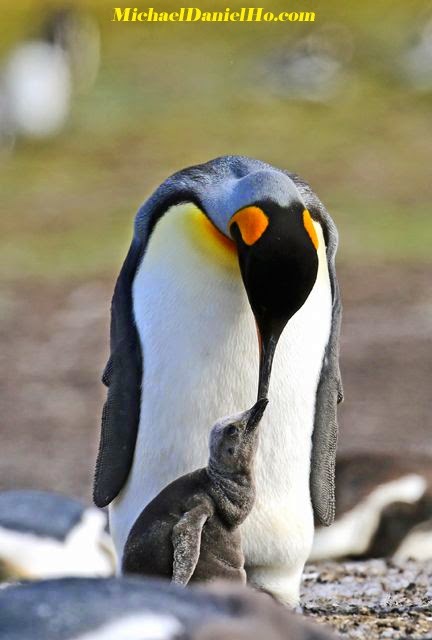 I am off to the Southern Oceans for a wildlife photo shoot of mostly penguins, pelagic birds, seals and whales. 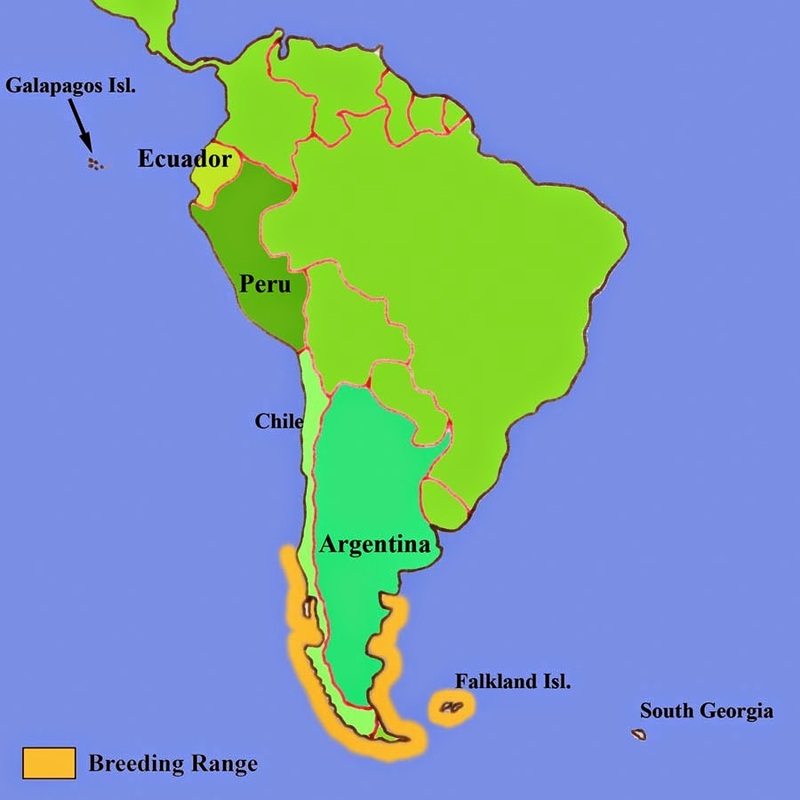 As you can see form the map, the Penguin breeding ranges are quite huge, spanning a large swathe of the southern part of South America, mostly in the countries of Chile, Argentina and the Falkland Islands. South Georgia is off my itinerary on this trip. 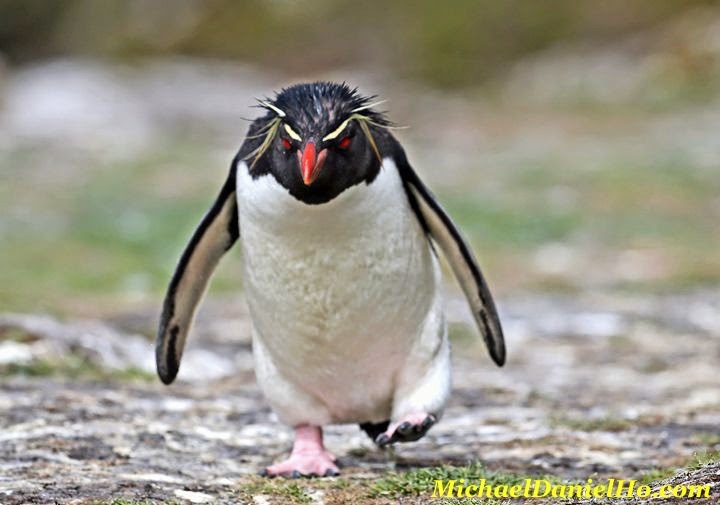 The species I hope to encounter and photograph are the Magellanic, Macaroni, Southern RockHopper and maybe King penguins. The Cetacean sightings may include Orcas, Humpback, Southern Right and Minke whales plus dolphins. 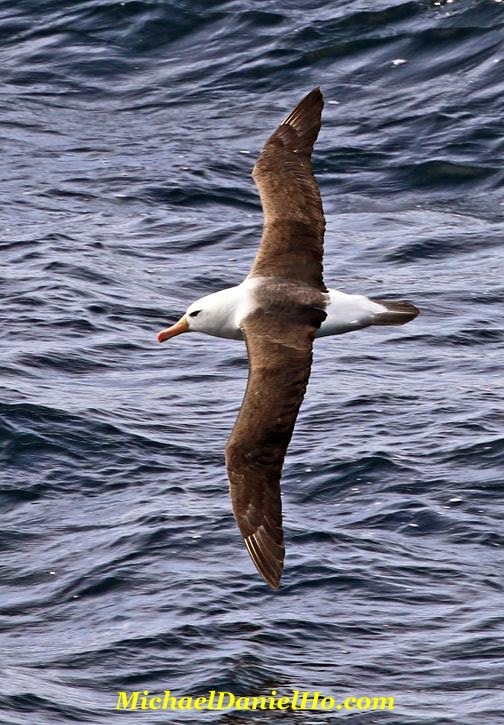 Pelagic birds may include a few species of Albatrosses, Petrels, Seagulls, Ducks, etc. 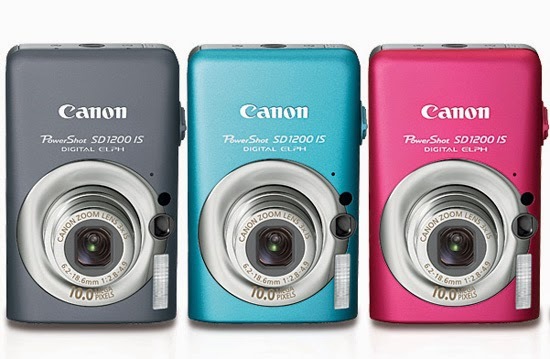 Canon USA issued a Product Advisory for PowerShot cameras. The purpose of this announcement is to inform our customers of the details of the phenomenon described below, as well as of the actions Canon is taking to address this phenomenon. Because we value the trust our customers have placed in us, we are dedicated to delivering industry-leading service and support for our products. We offer our sincerest apologies to any customer who may be inconvenienced. Click here to visit the official Canon site and see which models are involved. 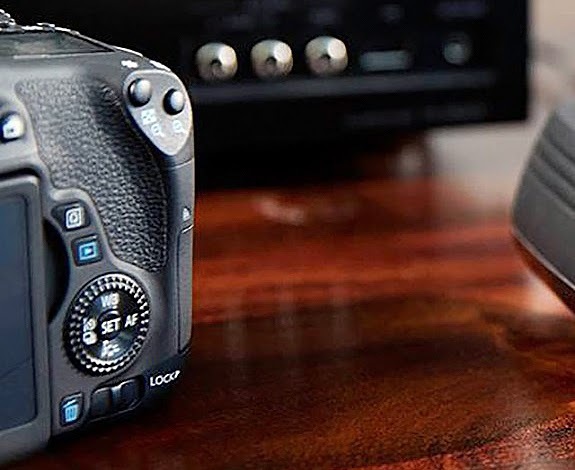 The camera that was leaked last week in the Canon Connect Station announcement is indeed the EOS Rebel T6i as reported. It should be announced around the CP+ Photo and Imaging Show in Japan starting on February 12. The EF 11-24mm f/4L super wide angle lens reported earlier will also be coming some time in 1Q of 2015. This is Canon first 'L' entry into the super wide angle zoom lens and the price will be commensurate with its IQ and build, in the neighborhood of around $3,000. Keep checking back for more details on both. For over a quarter of a century, my passion for the environment and conservation has centered on my love of travel and wildlife photography. Many animal and plant species are going extinct at an alarming rate. We live in a time when nature finds itself in a fragile state. There are less habitat and more people, fauna and flora are under severe pressure. Wildlife Photography can be a powerful tool for conservation. 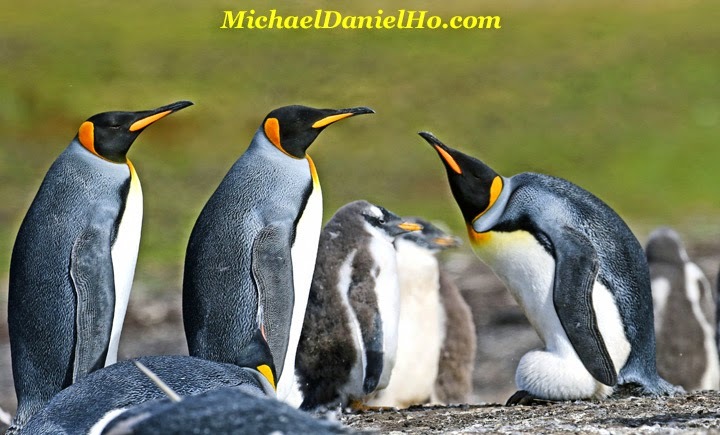 My mission is to promote the understanding and appreciation of the world's biodiversity and the need for its preservation, through the lens of wildlife imagery. Powerful wildlife and nature images are effective and emotive tools in building public awareness and education in combating this worrisome decline. 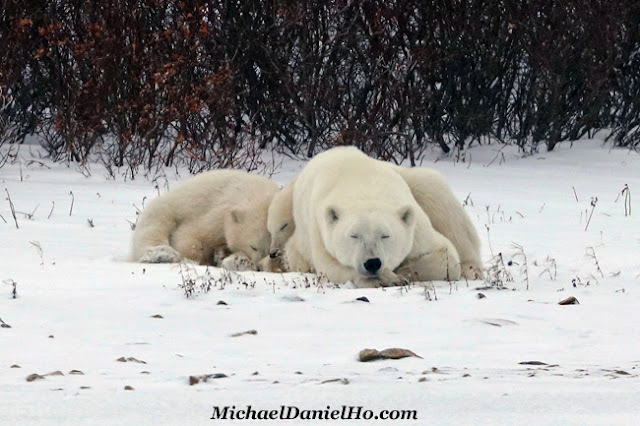 My readers know me as The Wildlife Ho-tographer, using Canon equipment for over 30 years. My subjects range from small Hummingbirds to gigantic Blue whales, the largest animal on Planet Earth, ever. Every year, I go on multiple photo shoots around the globe and meet photographers and wildlife enthusiasts who want to know what equipment I use and how much camera gear I bring along on my trips. My philosophy is to keep things simple and my equipment bag as light as possible. I usually bring no more than 2 bodies and 3 lenses. You can follow my travels on Facebook, Twitter, Flickr, Instagram and this blog. My blog and website do not accept advertising, have no tracking cookies and commissioned links of any kind and I do not receive compensation from any camera dealer or equipment manufacturer, including Canon. EOS 1D X Mark II - With a maximum speed of up to 16 fps, new 20 megapixel sensor and 61-point AF system, this body is the successor to the venerable EOS-1D X, and an ideal wildlife camera. The superior native ISO performance and lighting fast frame rate makes photographing moving wildlife in dim light easier and when combined with the EOS-5Ds body, will provide me with unmatched flexibility on photo shoots. The EOS-1D X Mark II combined with the new EF 200-400mm f/4L IS lens, with the 1.4X built in extender, make an awesome combo for wildlife photography. See my review of this awesome camera. I have used all the EOS-1D bodies since its inception in 1989 and still prefer the 1.3X APS-H sensor of the MK IV for the extra reach. When I upgraded to the 1D MK III, MK IV and 1D X, it was a small incremental improvement each time, but the EOS-1D X Mark II is a much improved DSLR. I owned the EOS 1D X camera for four years and picked it as the best body for wildlife photo shoots around the world. Click here to read my review of the older camera. EOS 1D Mark IV - 10 fps, 16 megapixel and 45-point AF system make this rugged camera an ideal wildlife choice for me. The 1.3X APS-H sensor brings me a little closer to the action. The noise level is good when photographing moving wildlife in dim light with ISO up to 3200. I have used all the 1D bodies through the decades and this is my one of my favorite cameras to date and trusted workhorse for wildlife shoots. The Mk IV has doubled up for me as a travel and landscape camera when combined with the Canon 16-35mm f/2.8L II and the 24-105mm f/4L lenses. The MK IV will serve me well as the other 1D body I turn to when I want a little extra reach. 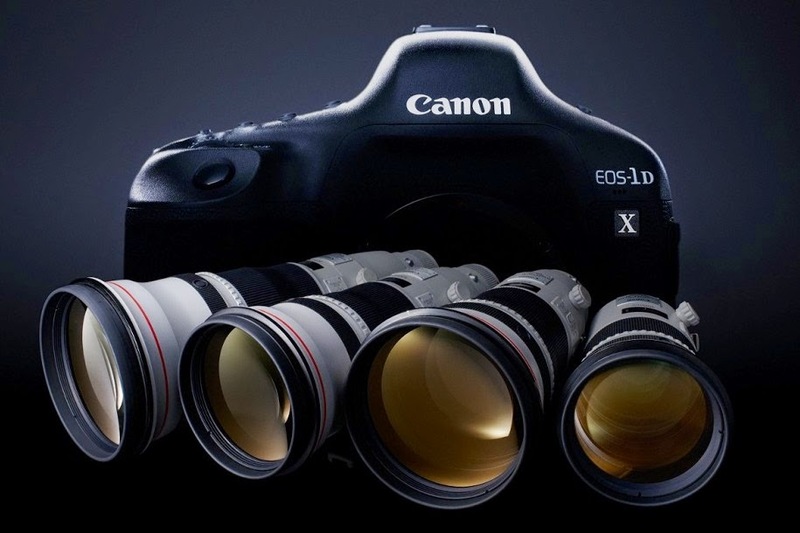 Read my comparison between the EOS-1D X and EOS-1D Mk IV. 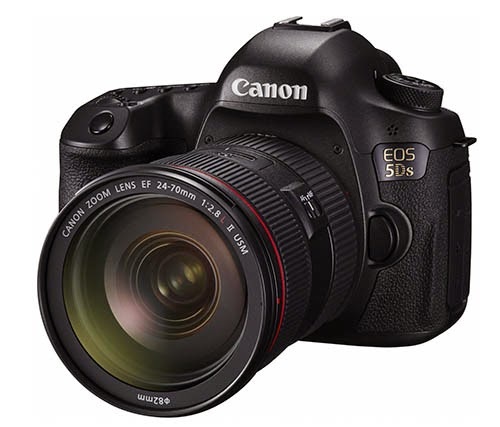 EOS 5D Mark IV - 7 fps, 30 megapixel, 61-point AF system and Dual Pixel CMOS technology make this 4th generation 5D camera my choice as a second camera when I am on tour. The EOS-1D Mark IV can feel a bit dated at times but this full frame body with built-in WiFi and GPS is an ideal camera for wildlife photography when the action is not too fast. The noise level is good when photographing moving wildlife in dim light with ISO up to 3200. It is becoming another trusted workhorse on my wildlife shoots. EOS 5Ds - After much deliberation, I have finally replaced my venerable EOS-1Ds Mark III with this full frame, 61-point AF, 50 megapixel camera. The 5Ds will be used primarily for nature and travel photography but occasionally for wildlife that don't move too much. The resolution of its impressive sensor, the ability to crop the image (on the camera) to 1.3x and 1.6x are great advantages for me when it comes to wildlife photography, offsetting its main disadvantage - the slow 5 fps burst rate. I will be taking this camera on many real world photo shoots and writing a comprehensive review on it in the next few months. 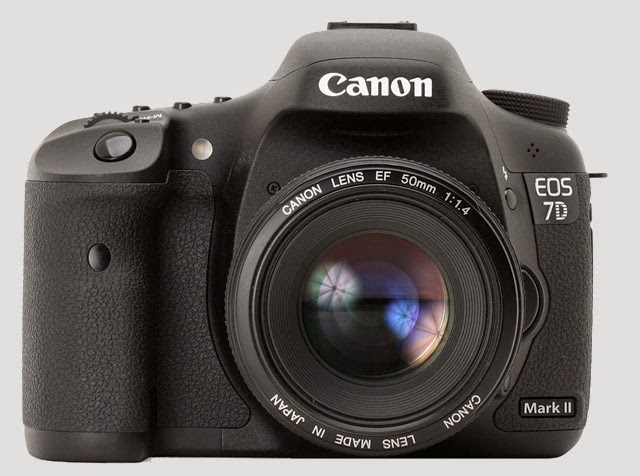 EOS 7D Mark II - In my opinion, this is the best value in cropped frame DSLR today. The 1.6X APS-C sensor, 10 fps, 20 megapixel and 61-point AF system make this body ideal for wildlife and bird photography. This new camera has the Dual Pixel CMOS technology built-in, can autofocus down to f/8 and has much improved ISO performance over the original 7D. With good light, the camera's performance is exceptional. I like the added reach of the 7D and put the Canon BG-E16 grip on the body to give it a 1D like feel. I am not completely without reservation on this body. You can read my review on the camera here. 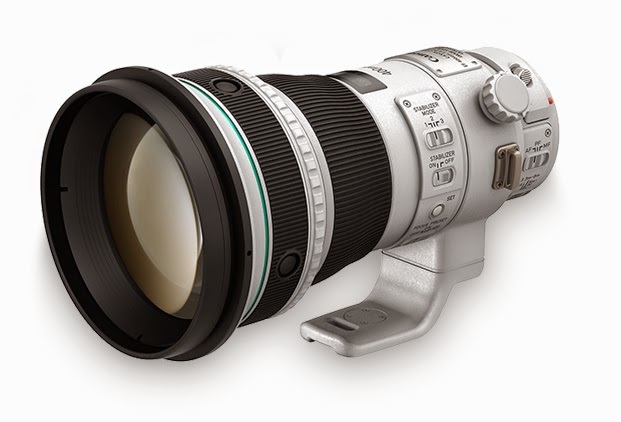 EF 300mm f/2.8L IS II - A superb 'handholdable' Super Telephoto wildlife lens. If speed is not paramount, I will use the EF 300mm f/4L IS but it gives up a small difference in sharpness at about half the weight and a fraction of the price. Excellent image quality with 1.4x or 2.0x extender mounted. The lens is tack sharp and works well with 1D, 5D and 7D bodies and the image quality is unparalleled. EF 400mm f/4 DO IS II - This is my favorite Canon Super Telephoto lens for wildlife photography. 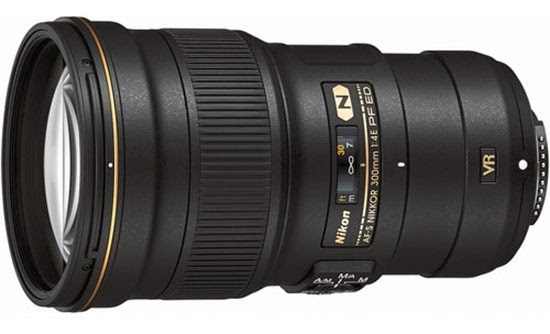 This brand new lens was announced on September 15, 2014. Its weight, speed and performance combination is hard to beat for a full day's photo shoot without a tripod. I have taken many of my bird-in-flight shots with the Series I model of this lens. The lens performs well with the 1.4x and 2.0x extenders. When used with the EOS-7D Mk II and EOS-1D MK IV, I can shoot at 1200+mm and 1000+mm focal length handholding the combo. This gives me unmatched mobility and reach. You can read my review of the Series II version. This is my favorite Super Telephoto wildlife lens when I travel light. EF 400mm f/5.6L - This is another one of my favorite Canon lens for wildlife photography. First introduced in 1993, it lacks Image Stabilization found in most EF lenses these days but it is one of the sharpest lens in Canon's lineup. The relative light weight and performance combination is hard to beat for a full day's photo shoot without a tripod. I have taken many of my bird-in-flight shots with this amazingly under-rated lens as well. The lens performs well with the 1.4X extenders. 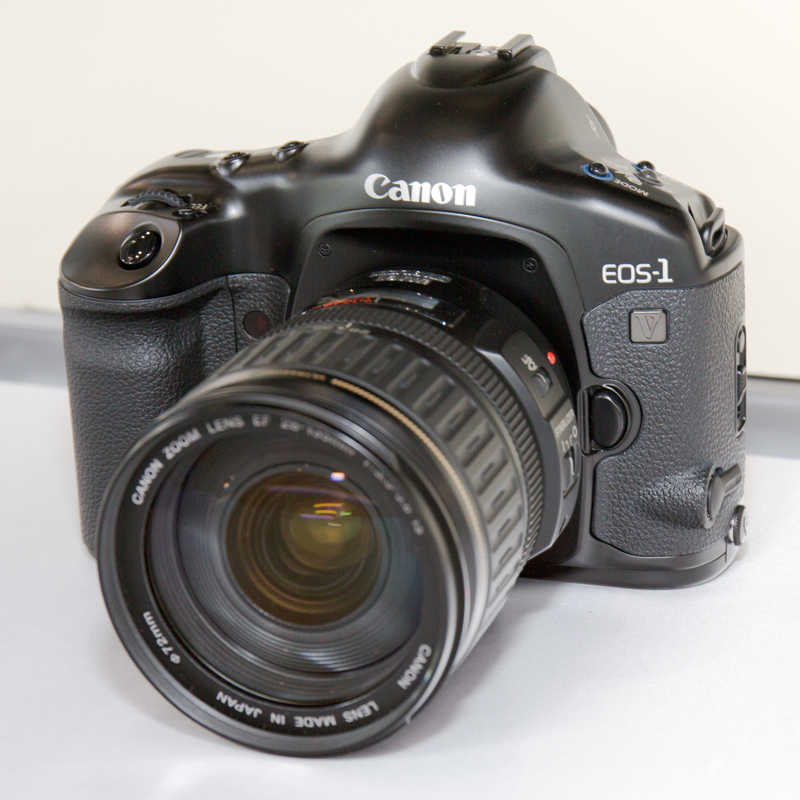 When used with the EOS-1D bodies, it can autofocus down to f/8. This gives me unmatched mobility and reach. 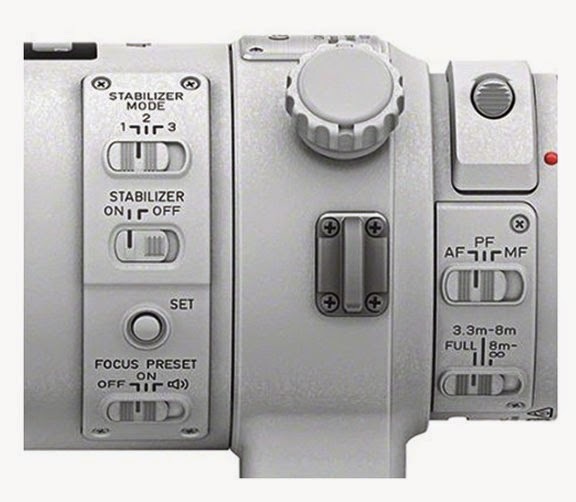 An upgrade of this venerable lens with an IS system would be great. EF 200-400mm f/4L IS USM Extender 1.4x - My ideal lens combo for wildlife photography is the 70-200mm f/2.8L IS II and the 200-400mm f/4L IS with the built in 1.4X extender. This way I can travel 'light' and still have the highest quality glass covering a wide range of focal lengths. Canon has reduced the price of this lens recently, down from the original price of $11,799. It is a great buy for those who don't mind the weight of this glass. Click here to read my extensive review of this revolutionary lens. I have put this amazing glass through many vigorous wildlife photo shoots around the globe and it continues to surprise me by its performance. EF 500mm f/4L IS II - One of my favorite Super telephoto lens in Canon's lineup. I have the Series II version and this is one of their sharpest and a great wildlife lens. When I use a full sized tripod, this glass is my choice and sometimes I handhold this lens for a short period of time. The Series I lens has been discontinued but one can still buy it from dealers with left over inventory. The new lens comes with superior optics and coatings, is incrementally better in every way and reduces the weight by 1 1/2 pound. The improvement comes at a much higher price but it was recently reduced to $9,499. If you already have the Series I lens, I am not recommending an upgrade unless reducing weight is your primary concern. Personally, I find the marginal improvement not to be a great value but since I sold my Series I lens for a good price, buying the Series II is a no-brainer. For those with less funds to spend, try and purchase a lightly used or factory reconditioned Series I lens and save. Together with the EF 200-400mm f/4L IS 1.4x, EF 400mm f/4 DO IS II and EF 300mm f/2.8L IS II, these lenses form the backbone of my Super Telephoto lens inventory. Click here to see how the EF 500mm f/4L lens is made. EF 28-300mm f/3.5-5.6L IS - My ideal lens combo for wildlife photography is the 70-200mm f/2.8L IS II and the 200-400mm f/4L IS with the built in 1.4X extender. However, there are situations when I am restricted to just one lens or it's impractical to change lens, then I reach for the EF 28-300mm. This versatile 10X+ zoom lens has very good optical performance and can focus down to less than two and a half feet over the entire focal length. This is a great wildlife lens especially in Hawaii. I call this my 'Maui lens' because the Humpback whales can come just a few feet from my zodiac and this lens will capture the image with little problem, even on APS-C cameras. EF 70-200mm f/2.8L IS II - Super sharp and fast lens for close up wildlife action, providing up to 4 stops of correction at all focal lengths. I have used this lens for years and the latest version is the best yet. An excellent lens for closeup, lowlight travel and wildlife photography and works well with both the 1.4X and 2.0X extenders. EF 70-300mm f/4-5.6L IS - I held off buying this lens for a while because the 70-300mm DO was such a disappointment for me. The extra reach and lighter weight ( compared to the 70-200mm f/2.8L IS II ) of this lens comes in handy when I am photographing larger wildlife in decent light. Excellent 4 stop IS compensation. Another great lens for cetacean and wildlife photo shoots. The drawbacks are extenders cannot be used on this lens and it does not come with a zoom ring. EF 100-400mm f/4.5-5.6L IS II - This brand new lens is a 'light weight', all round wildlife lens with excellent build. 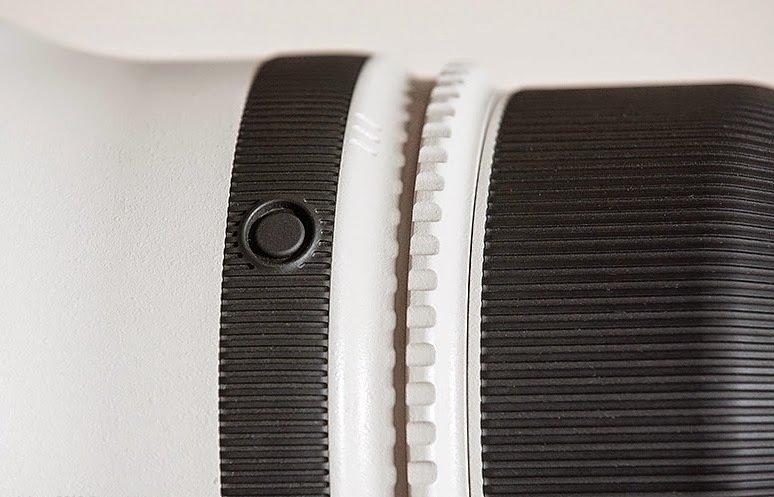 It uses a zoom ring design to get from 100mm to 400mm. Excellent for wildlife and whale photography. 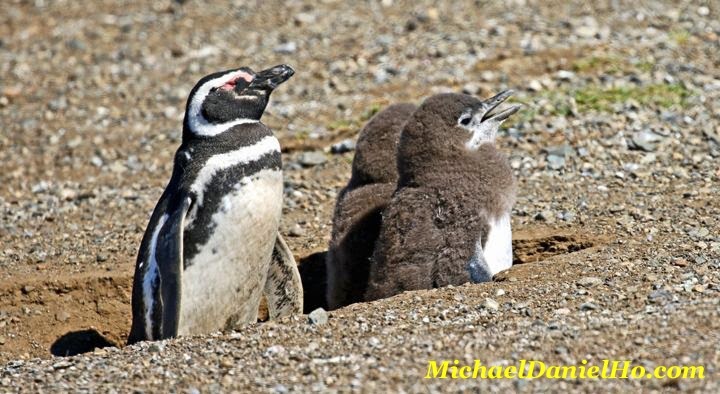 Image quality is great even with the 1.4X extender on EOS-1D and EOS-7D Mk II bodies. You can read my review on the Series II version. I will write an extended review of this lens once I have taken it out on more photo shoots. EF 180mm f/3.5L Macro - Superb macro lens that can be used with extenders. Excellent build with medium fast speed. A must own lens for serious macro photography. I have used it to photograph Hummingbirds closeup when the lighting conditions are good. EF 24-105mm f/4L IS II - A great, all round lens for travel and landscape photography. This lens will be on my EOS-1D X Mark II or EOS-5Ds when I take travel photos or closeup wildlife shots. The focal lengths and speed are ideal for indoor and outdoor shooting conditions and the IS offers a 4 stop advantage. It comes with the latest coatings and fluorite technology. EF 16-35mm f/2.8L III - This lens is great for wide angle landscape shots on the EOS-1D X and a versatile travel lens on the EOS-1D MK IV as well. Very sharp and fast. Can be used indoors when flash photography is prohibited. 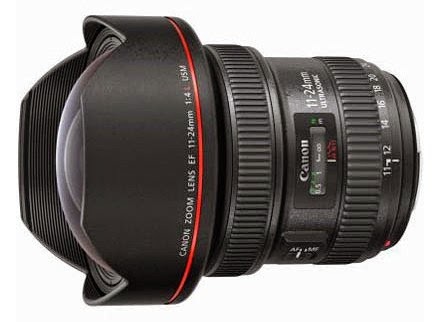 Canon has announced the EF 16-35mm f/4L IS and EF 11-24mm f/4L glass. These lenses may find a home in my equipment bag in the future. EF 8-15mm f/4L Fisheye - This lens is for landscape and wildlife photographers who want the look and feel only possible with extreme wide angle and fisheye photography. With its unique focal length range, the EF 8-15mm f/4L USM is the world's widest fisheye zoom lens. It delivers 180° diagonal angle of view images for all EOS SLR cameras with imaging formats ranging from full-frame to APS-C, and provides 180° circular fisheye images for full-frame EOS models. I use this lens to photograph whales and other marine animals when I am in the water. To do it professionally, I use my EOS-1D Mk IV camera with the EF 8-15mm lens and the AquaTech underwater housing, topped with a dome lens port for maximum angle of view. On land, this super wide angle lens will capture stunning nature photos and stimulate creativity. EF 50mm f/1.4 USM - This walk around lens is a solid performer and great value. I am not a portrait photographer and seldom use a 50mm lens so there is little need to own a better performing glass. An upgrade to Mark II of this lens is needed to take advantage of the advancement in optics and coatings since its first introduction in 1993. 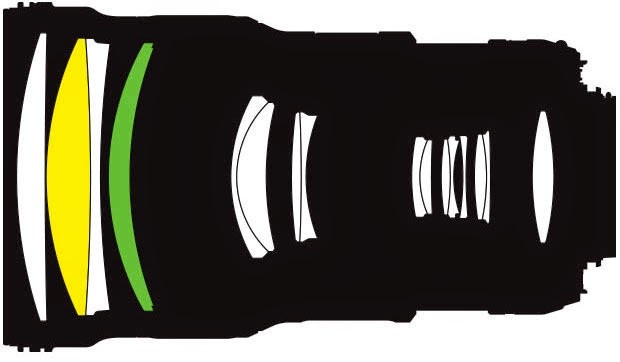 Extender EF 1.4X and 2.0X III - Series III extenders offer a 40% or 100% boost to the focal length of the lens with a corresponding loss of 1 to 2 stops in aperture setting. Although they focus faster, I find no noticable IQ improvement in the latest extenders over the Series II versions under real world conditions and use them only sparingly. The Series III extenders are supposed to mate especially well with the Series II Super Telephoto lens but I cannot find any evidence to that claim. I am not a big fan of extenders and will use my legs first to close the distance between me and my subjects. Speedlite 600EX II RT - I am not a big user of flash but sold my 580 EX II for a good price and upgraded to the 600EX II RT. Professional quality and build makes this flash perfect for the 1D bodies. It offers an expanded zoom range and a higher guide number, plus a number of improvements over its predecessor in both operation and feel. With the added wireless two-way radio communication, it allows additional creativity. Kirk BH-3 Ball Head - This compact, light weight ball head is perfect for photographer like myself who prefers to travel light and do not want to over pay for any gear. It weighs a mere 1.2 pounds and is rated for a 15 pound load. I can mount the EF 800mm f/5.6L IS USM lens and the Canon 1D X camera with extender on it with no problem. It is professional grade, solidly built in the United States and comes with a very reasonable price. For heavier loads, I mount the Kirk BH-1 on my tripod. Gitzo GT2542LS - This premium carbon fiber tripod is when I have room and weight to spare in my equipment bag and want to pack the heaviest load for my tour. It is longer than the SLIK tripods I have and weighs just below 4 pounds, comes with no center column, rated for about 55 pound load and extends to almost 5 feet tall. Gitzo tripods are extremely well built and rugged but sell for a premium price and may not be a good value for all photographers. SLIK PRO 824 CF - This light weight, full sized carbon fiber tripod weighs only 3.5 pounds but can support over 17 pounds of equipment. That's enough for a top of the line ball head, Canon 1D body and up to the Canon 800mm f/5.6L IS lens. It is almost 5 inch shorter than the Gitzo GT 2542LS. I use this tripod when the job calls for a shorter, full sized tripod than can handle a big load. SLIK is one of the best kept secret in carbon fiber tripods today. The technology and quality are first rate and the prices are reasonable. Gitzo GM 2542 - This compact carbon fiber monopod is an ideal tool for me when it is not practical to deploy a tripod. It weighs a mere 1.1 pounds and is rated for about 66 pound load. I mount the Kirk BH-1 ball head and Canon 1D X Mark II or 1D Mark IV with 400mm DO IS II lens on it with ease. Tamrac Expedition 8X Backpack - Sadly, Tamrac has been bought out by GuruGear but this is the pack I use to carry larger equipment when I go 'heavy'. 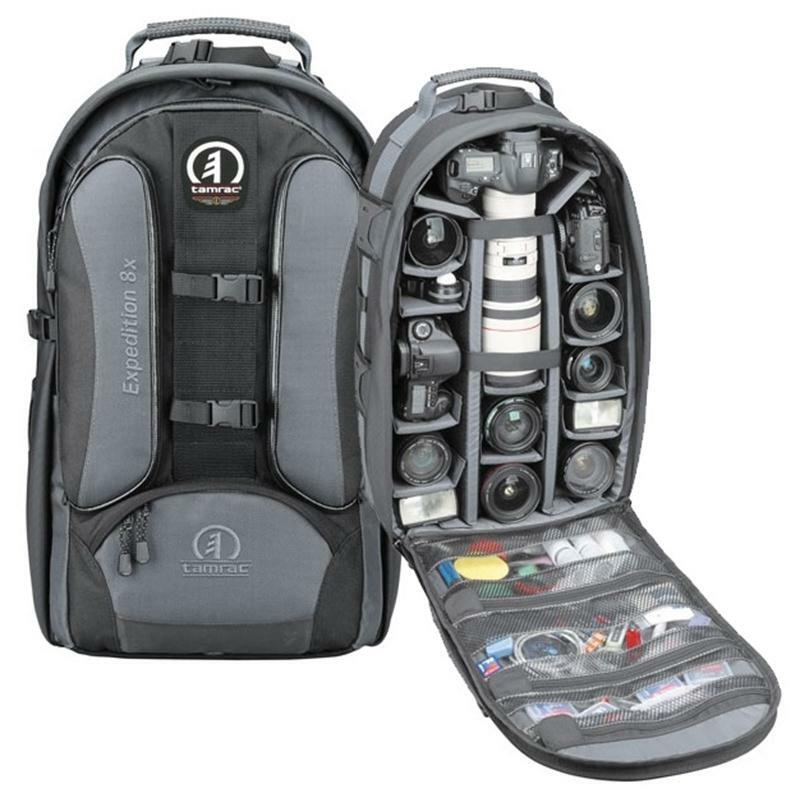 The main compartment is completely foam padded with numerous adjustable dividers to protect multiple pro-size digital SLRs, a full range of lenses (up to the EF 800mm f/5.6L), flashes and a laptop. The best thing is it's 'small' enough to be carried on planes. Tamrac Adventure 9 Backpack - I use this Backpack when I travel 'light'. This pack is divided into upper and lower padded compartments. 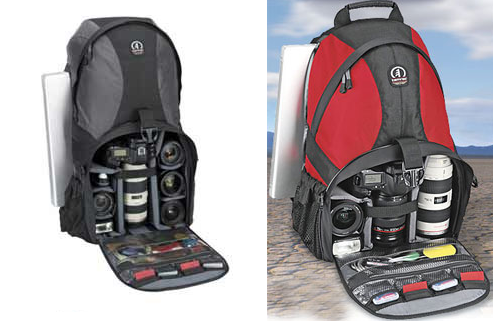 The lower compartment can accommodate 2 pro-size bodies and 2 lenses. The upper compartment can accommodate additional equipment including the Canon 400mm f/4 DO IS II lens and there is room for a laptop. The pack is small enough for me to take on planes in addition to a carryon suitcase. "The release of Canon’s Digital Photo Professional 4 software in mid-2014 was accompanied by an updated version of its EOS Utility software – version 3. EOS Utility 3 acts in tandem with DPP 4 and enables you to download images from a camera’s memory card to your computer, remotely control the camera to capture new images or edit camera settings, such as the image owner’s name. You can then organize and process the imported images in Digital Photo Professional 4. EOS Utility 3 features improvements to form and function and the increased integration between Canon’s two free apps helps to streamline the shooting, importing and editing process. Indeed, you can now launch EOS Utility 3’s Live View window and remote camera shooting panel from within the Digital Photo Professional workspace, which allows the two packages to work together as a tighter team. CPN writer George Cairns takes a closer look at the capabilities of EOS Utility 3 and how it works alongside DPP 4..."
Canon EOS Utility 3.x is available from Canon USA. Enter a compatible camera model to download the software. Check out CPN's Inside EOS Utility 3 for detailed information about the software. The Japanese Yen has been depreciating in the last year or so against major currencies like the Euro and US Dollar. This is by design of Mr. Shinzo Abe, the Japanese prime Minster and his government, to stimulate the economy by giving exporters a more competitive environment to sell their products abroad. The Bank of Japan eased monetary policy in October to weaken the Yen and support the government's policy of re-inflating the Japanese economy. The drop in the Japanese currency is a double edge sword. It has raised costs for firms with manufacturing facilities overseas and those dependent of raw material imports for their operations. Canon will be slowly bring back overseas production capacity from other parts of Asia to Japan. Mr. Masaya Maeda, Managing Director and Chief Executive, Image Communication Products Operations at Canon, has pointed out that Canon is the only company where digital cameras are assembled 100% in-house : sensors, software, image processors, and lenses. This will be joined by bringing home some components and assemblies currently being manufactured in other parts of Asia. Canon is planning to increase domestic production to 60 percent of overall output in three years, up from the current 40 percent. 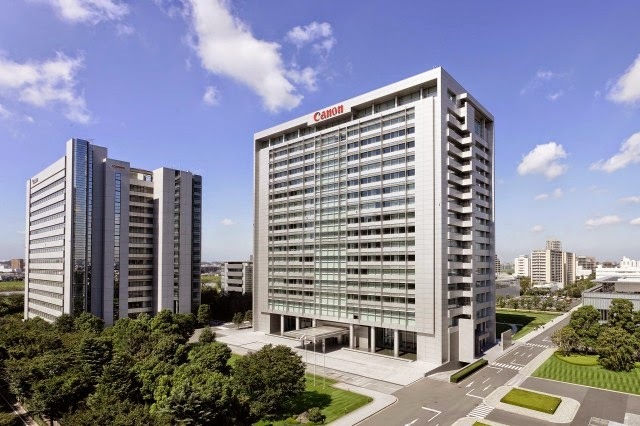 Canon spokesman, Hirotomo Fujimori announced, "From now on, new copier, camera and printer products will be built at domestic factories and as they replace older products, the volume of goods made overseas will fall." Canon announced the EF 400mm f/4 DO IS II lens on September 11. This is one of my favorite Canon lenses and I placed my order right after the announcement and have received the new model. This glass is about 13 years in the making. The original model was introduced in 2001 and it had one of the earlier version of Image Stabilization with a 2 stop advantage. You can read my review of the new lens. I will be taking it out very soon on a real world overseas photo shoot for an extensive test. The Canon video below explains the Diffractive Optics technology, Fluorite Elements and more. 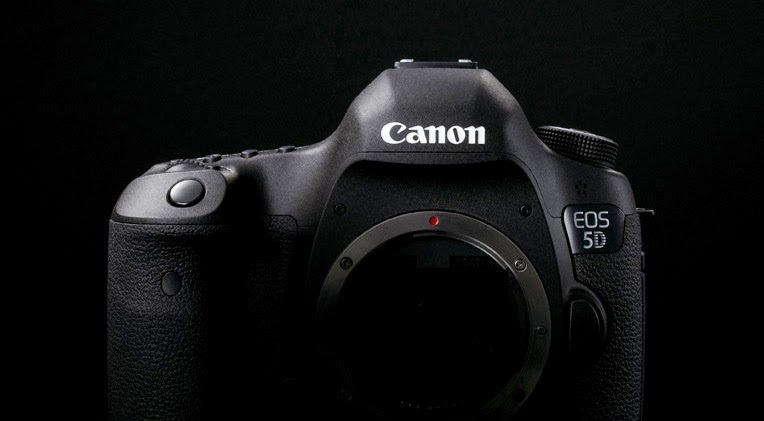 Additional EOS-5D Mk III camera replacement rumors have surfaced. 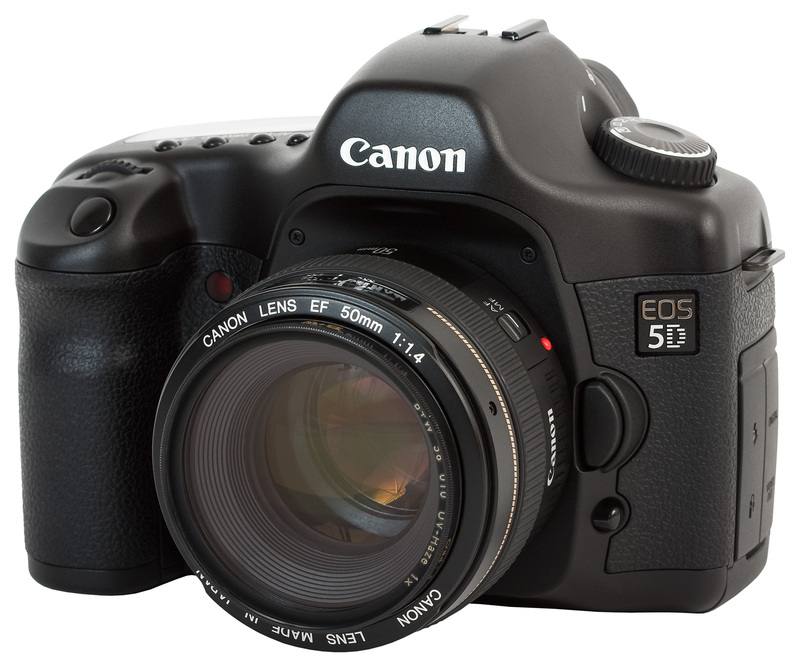 Some are indicating the EOS-5D model may split into 2 branches - EOS-5D MK IV and EOS-5DS, not unlike the EOS-1 Series a few years ago. The EOS-5Ds may have a 50+MP sensor and perhaps, with the addition of an AA filter, not unlike the Nikon D810 and D750, announced last year. The EOS-5D Mk IV will get a slightly higher MP sensor and presumably a faster burst rate as well, and should appeal to photographers desiring a high megapixel, full frame frame camera with a burst rate faster than the current 6 fps, but nowhere approaching the speed of the EOS-1D X (up to 14 fps). There is probably an even chance this might happen and I am not too enamored of the idea. 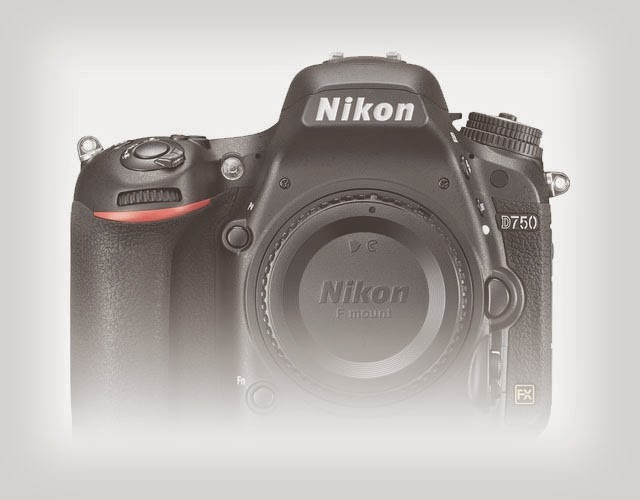 Personally, I think Nikon is launching too many full frame camera models and diluting their impact. Canon should not follow in that pursuit. A split of the EOS-5D line into two will inevitably go down the same path as Nikon. In my opinion, in the next few months, Canon should launch the EOS-1D X Mk II with a higher pixel sensor in the low 20+MP range and retain the burst rate of at least 12 fps. This will give wildlife photographers like myself more pixels to work with when I crop the images since the EOS-1D X is a full frame camera with a sensor of 'only' 18MP. This is one of the few 'criticism' I have of the camera. In addition, bring out the EOS-5D Mk IV with the megapixel sensor of 50+MP and stuff it with high end features and build quality approaching the EOS-1 series and price it below $5,000 . 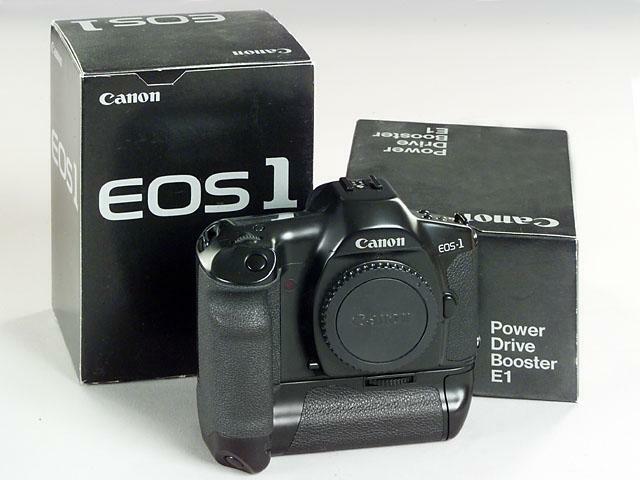 This will give photographers who craved the successor of the retired EOS-1Ds Mk III something to look forward and upgrade to. Then, perhaps towards the last part of 2015 or early 2016, an additional model with the filter option can be offered, depending on user requirement. This will give photographers time to digest the impact of the new models and not be overwhelmed by the myriad choices confronting them. Eastman Kodak engineer, Steven Sasson, invented the digital camera in 1975. Within 25 years the technology would overtake analog film materials and dominate the photographic industry and practice. This video below, presented by George Eastman House, features a timeline of digital camera technology starting with Steven Sasson’s first completely digital camera prototype and takes us all the way to the smart phones of today. 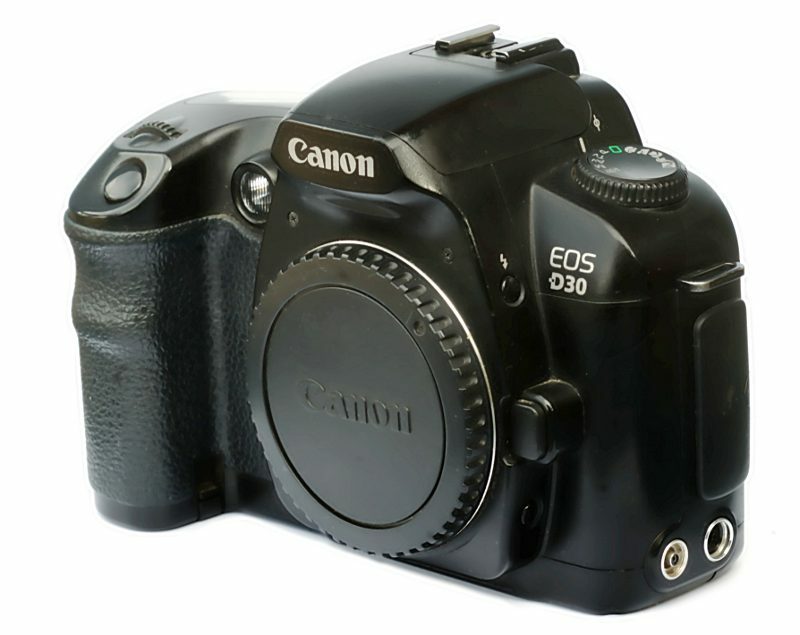 The first commercially successful digital camera, the EOS-D30, was introduced by Canon in 2000. Has digital photography finally replaced the film camera for good? Find out. The first commercially successful photographic process was announced in 1839, the result of over a decade of experimentation by Louis Daguerre and Nicéphore Niépce. Unfortunately, Niépce died before the daguerreotype process was realized, and is best known for his invention of the heliograph, the process by which the “first photograph” was made in 1826. Daguerreotypes are sharply defined, highly reflective, one-of-a-kind photographs on silver-coated copper plates, usually packaged behind glass and kept in protective cases. The daguerreotype process is demonstrated in the video below from the George Eastman House. Who invented digital photography anyway? Follow all the action and announcements on Canon by visiting their community website. Did the advent of consumer digital photography eliminate the film camera, especially in light of Eastman Kodak's Chapter 11 bankruptcy filing in 2012. Only a very limited number of companies still manufacture film for analog photography. In my book and in the video below from the Financial Times, the answer is a definitive NO. The analog photography market has shrank dramatically with the successful introduction of Canon's first digital camera, the EOS-D30 in 2000, but the film photography market is making a small comeback, not unlike the vinyl record industry, after the launch of Compact Discs. 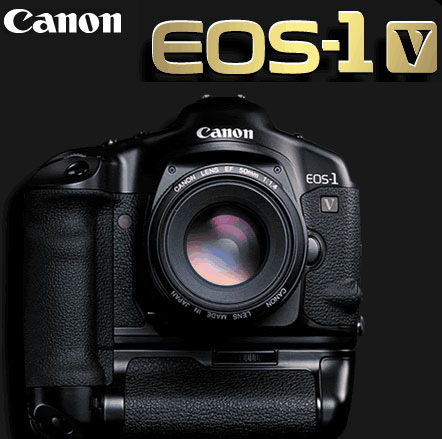 I am a wildlife photographer and although my main camera now is the EOS-1D X, I still have my old faithful, the EOS-1V film camera and my first professional camera was the EOS-1 when it came out in 1989. The film camera is alive and well for those who can still remember the good old days. We just have to pay quite a bit more now to buy high quality film. A few days ago, other buyers of the new EOS-5D Mk III also discovered similar events. Is is not unusual for new cameras to have the latest firmwares on them so Canon may be announcing new Firmware for both cameras soon? The replacement for both cameras will be coming out this year and Canon has extended the $800 rebate on both models till the end of January 2015. Check back for the latest information. MELVILLE, N.Y., January 5, 2015 – Canon U.S.A., Inc., a leader in digital imaging solutions, announced today the new Canon Connect Station CS100i, a photo and video storage device that has the capability to connect to multiple compatible imaging devices allowing users to easily store, view and share images and videos. 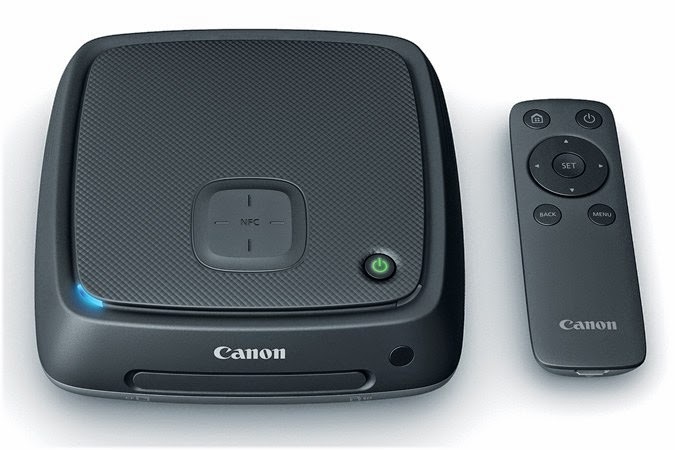 First shown as a prototype at the 2010 Canon Expo in New York, the Canon Connect Station CS100 device provides up to 1TB of storageii exclusively for photos and videos allowing users to free up space on media cards quickly, without the use of a computer. 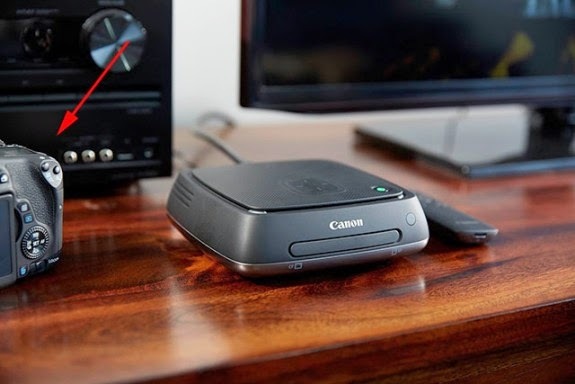 Featuring NFC™ (Near Field Communication) capabilities and Wi-Fi® technology, users can simply tap the NFC icon on their compatibleiii Canon digital camera or camcorder to automatically import new images and videos wirelessly to the CS100 making them ready to view and share on a connected HDTV.